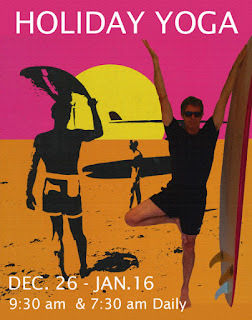 Johnny's usual timetable will continue at The Moore Street Yoga Room until December 20 and then break until December 26. HOLIDAY YOGA will begin again this year on Boxing Day and run EVERYDAY including public holidays and weekends, until January 16. There will be classes at 9:30am and 7:30am.